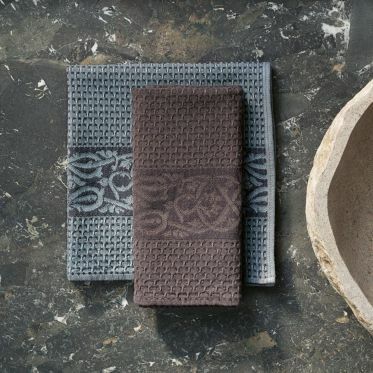 Hand towels and bath towels made of piqué - the fabric with the beloved waffle-knit pattern - typically consist of cotton. 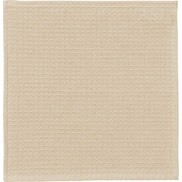 And the description “waffle-knit” really says it all: this fabric features a surface with alternating raised and recessed areas. Depending on the size of the “waffle” areas, the texture can appear particularly fine or wonderfully coarse. No matter which look you prefer: it is their cuddly softness that makes these home textiles so popular. The secret of the oft-cited quality of Leitner Leinen products is actually not a secret at all. Because of the fact that we use only the very best raw materials, put plenty of hand crafting into our products, and look back on more than 150 years of experience in jacquard weaving, we don’t need to keep any secrets. 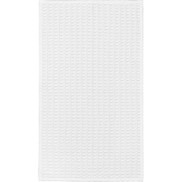 Of course, we also set the bar high in the production of piqué bath towels, bath sheets and hand towels. Piqué is a two-ply fabric. Two superimposed cotton warp threads are used in its production. Each thread has its own "weft", which is clamped in parallel to one another. The subsequent weaving process creates the characteristic waffle pattern that many people enjoy so much. Bath linens are among the most sought-after piqué home textiles - and for good reason.  This type of fabric is particularly soft and skin-friendly, yet absorbent and easy to clean. 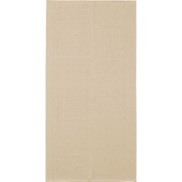 Wrap yourself in a soft piqué bath towel or bath sheet as you step out of the bathtub or shower. 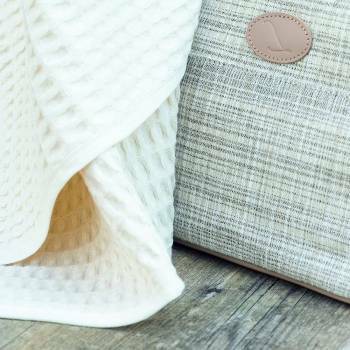 The absorbent, soft, cosy feeling of these bath textiles is ever so gentle on the skin. 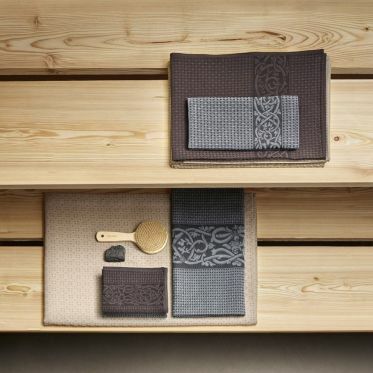 Leitner Leinen’s bath collection also features hand towels, guest towels and washcloths made of the softest premium piqué. Let the stylishly woven patterns and designs inspire you. You are sure to find the perfect match for your bathroom. 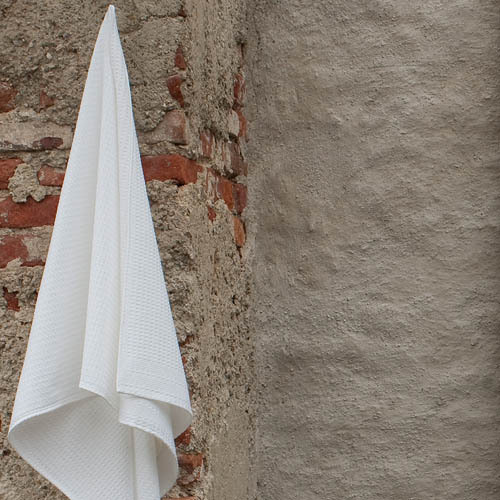 Whether you go for a look that is more minimalist, playful or baroque, modern or historically inspired - the collection of bath textiles from our weaving mill in Austria’s Mühlviertel region has everything you could ever wish for and more. 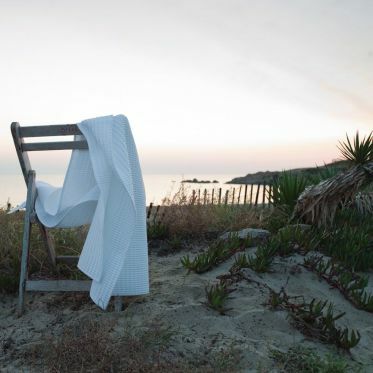 Leitner Leinen’s piqué collection includes sauna towels and beach towels. 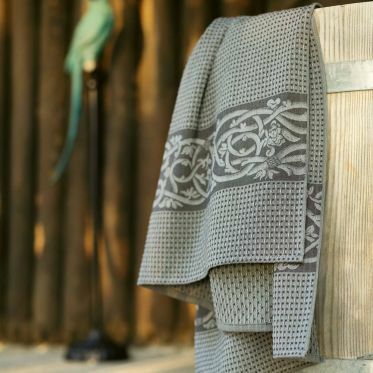 Top off your visit to the spa with one of our wonderfully soft sauna towels - an absolute must for an unbeatable feeling of wellbeing in the sauna. Heading to the beach? 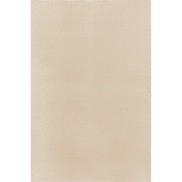 Don’t forget your Leitner Leinen piqué beach towel - stylish, soft, absorbent. 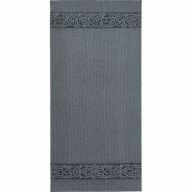 The unique Scandinavian-inspired designs and practical elegance make our beach towels real eye-catchers! 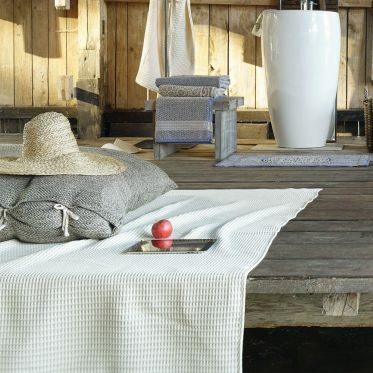 Treat yourself to luxury and explore the world of piqué towels and home textiles by Leitner Leinen, one of the most renowned weaving mills in Austria.  Whether you’re looking for bath towels, bath sheets, hand towels or any other fluffy accessory for your bathroom or beach trip: you are sure to find it here!